Home > News > News > New Sony camcorders HXR-NX5R have arrived! New Sony camcorders HXR-NX5R have arrived! Our New Sony Camcorders are here, we are extremely excited to have these on board! 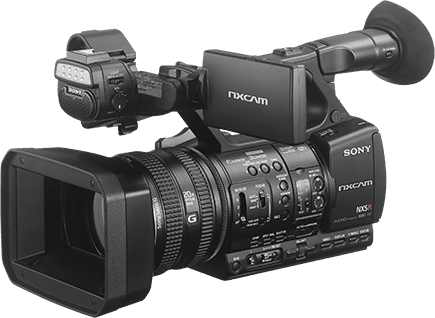 The NX5R offers Full-HD image capture along with its advanced LSI, which features intelligent noise reduction, enhanced detail reproduction and distortion correction technology, allowing this new camcorder to deliver remarkably lifelike images. These cameras are suitable for a range of different events, especially conference filming.